Stacker has rounded up a comprehensive list of some of the top-tier dorm options in schools across the country. Remembering one's college years might bring up memories of study sessions, beer pong, and of course those tiny, bleak college dorms. From sharing space with a stranger to the dreaded communal bathrooms, dorm rooms haven't traditionally been known as places of comfort, much less luxury. But as universities compete to recruit new students, many have upped their game by providing accommodations and amenities that rival expensive hotels or elegant condominiums. Those faded residence halls of yesteryear appear to be on their way out, with students and parents alike having higher expectations of what a college education should include. Modern-day students want living situations that will contribute to a better overall college experience, and part of that experience is a dorm that is more than just a place to sleep and study. Schools have added perks such as private theaters, fine dining, and services like daily or weekly housekeeping. 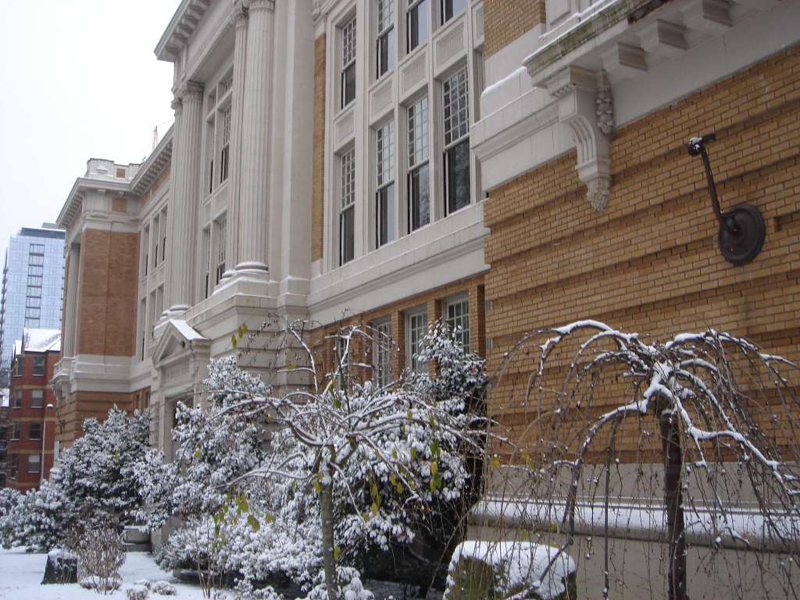 Concerns about a lower carbon footprint and sustainability also have led schools to create spaces that are ecologically sound, with certified green buildings, solar energy usage, and an increase in outdoor areas. Some universities have upgraded their privacy levels, with single rooms that are more like apartments, while others have expanded their shared areas, creating environments that bring students together and help build a stronger sense of community. 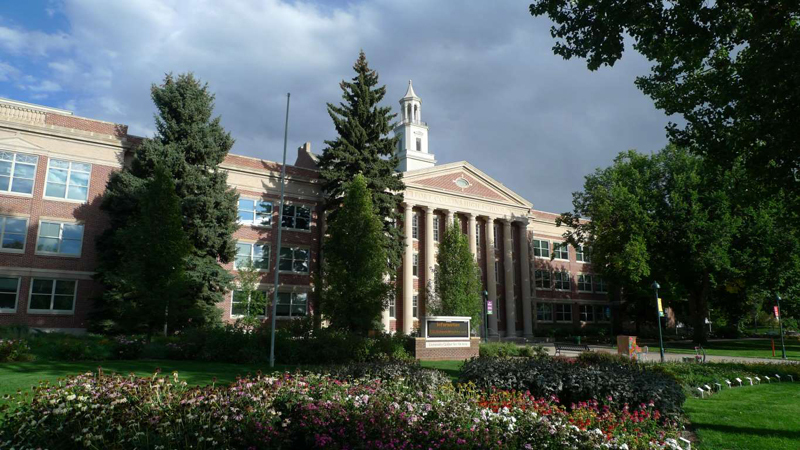 Stacker has rounded up a comprehensive list of some of the top-tier dorm options in schools across the United States. A sampling of schools from different parts of the country reveals the ones that came out on top. 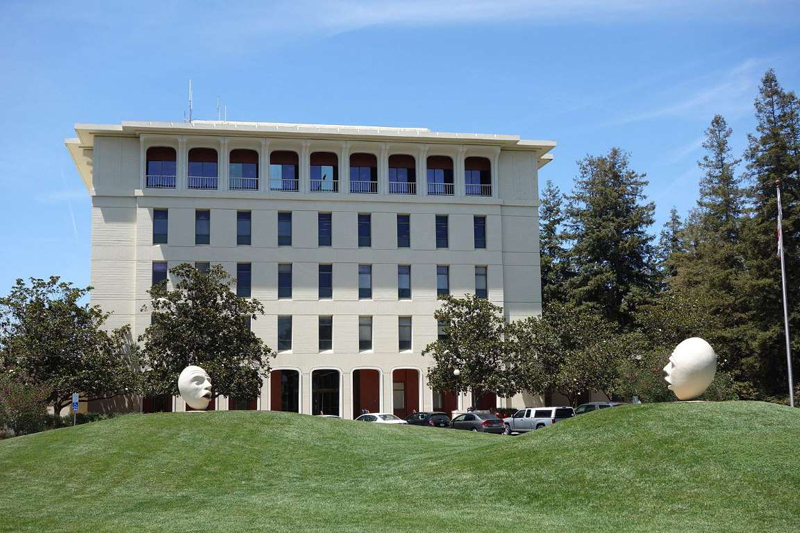 The approximate yearly housing costs listed do not include extras such as meal plans, and are of course, subject to change based on the school's tuition increases. 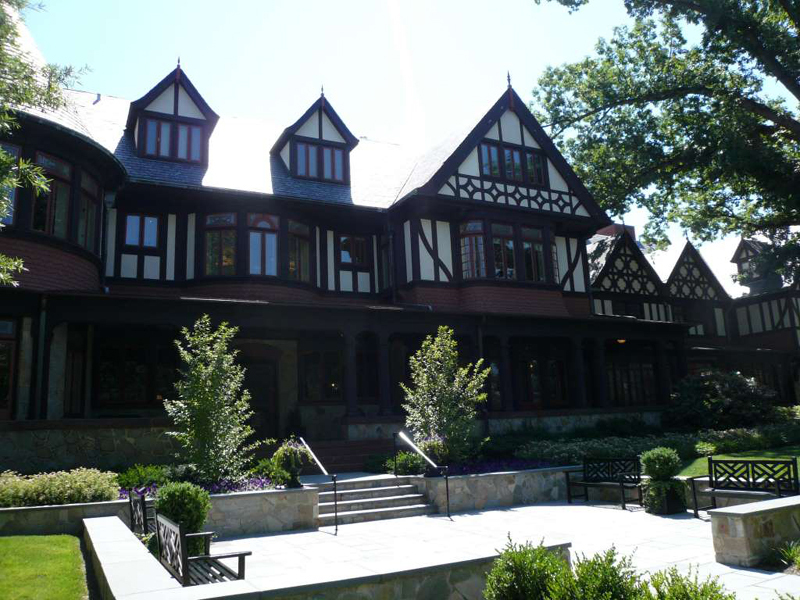 Known on campus as “The Rock,” Rockefeller Residence Hall at Bryn Mawr College makes the dream of living like royalty come to life. The exterior resembles a fairytale castle, while the rooms themselves feature extras like fireplaces and window seats, which were part of the original construction of the building back in 1904. 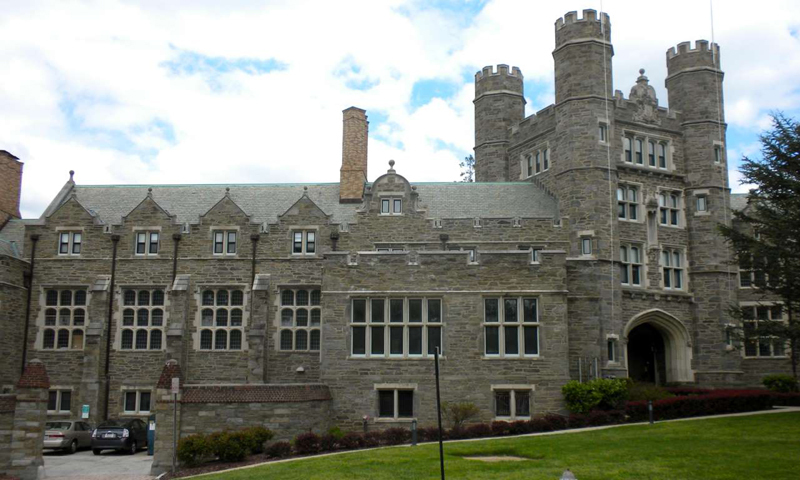 This hall was built as a gift from John D. Rockefeller, and is the largest dorm residence on campus. 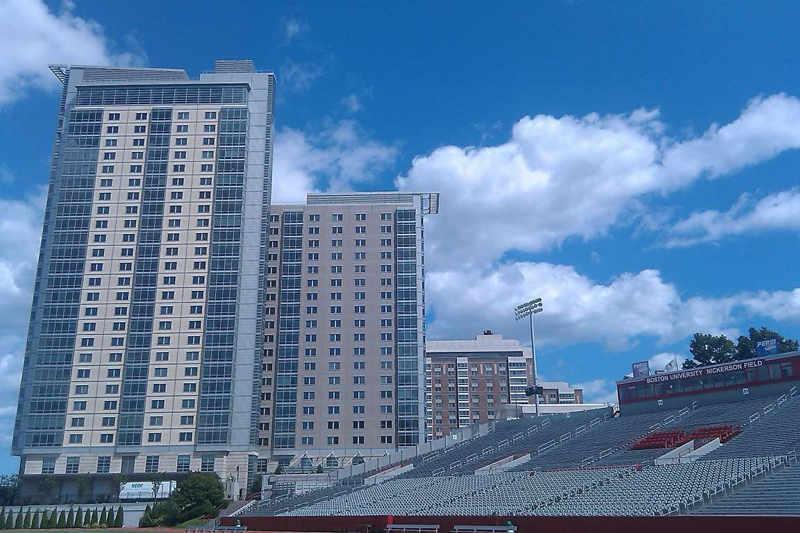 Boston University's Student Village 2, which was built in 2009, features breathtaking views of the city skyline. More high-rise apartment than dorm, Student Village 2 offers both single and double rooms with air-conditioning, walk-in closets, and private baths. Dorm residents also may enjoy relaxing common areas that include media rooms and soundproof music rooms. 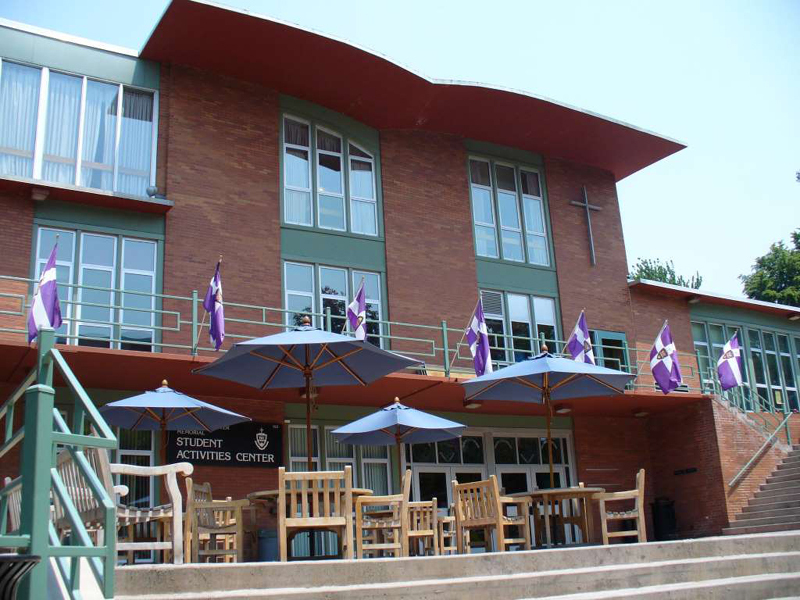 Consisting of 24 halls on 40 acres, Washington University's South 40, or “The 40” as students call it, is a four-building complex that mixes modern and traditional styles. Dorms are mostly double occupancy, with a few singles and triples. All rooms come furnished and all have air conditioning. Common areas include fitness facilities, bookstores, and a convenience store, surrounded by a green, walkable landscape. Attending Yale means being immersed in history and tradition, and Durfee Hall on campus is no exception. While the rooms sport the standard bed, desk and dresser, most have walk-in closets and each opens into designated common areas with fireplaces. 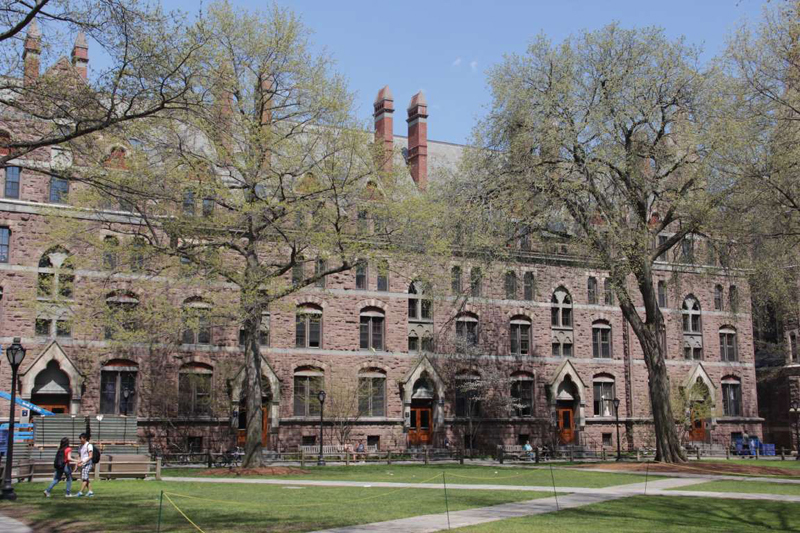 Built in 1871, it is Yale's second-oldest residence building and houses first-year students. 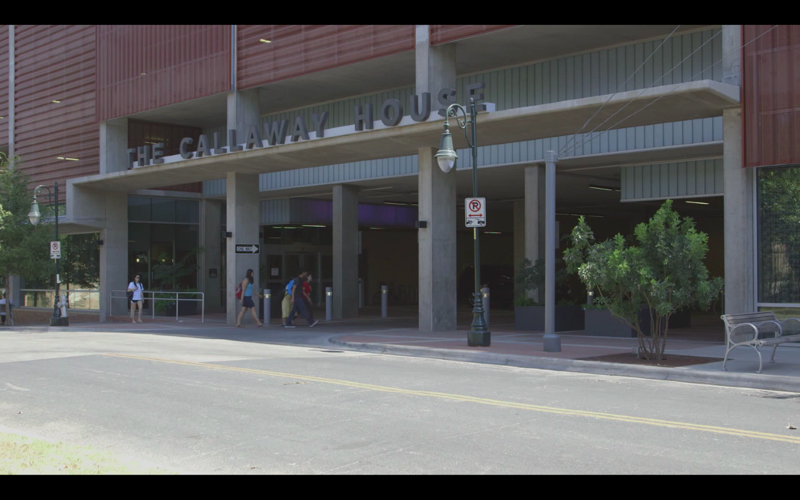 They like to do things big in Texas, and Calhoun Lofts at the University of Houston showcases this goal. One of the newer facilities on campus, these spacious loft-style dorms feature 10-foot-high ceilings, exposed concrete ceilings and floors for an urban vibe, granite countertops, and a refrigerator, stove, and microwave. The building offers its residents a theater room, exercise rooms, a market, pool table, and two rooftop terraces. Due to a recent backlash regarding pro-slavery U.S. statesman John C. Calhoun, the university is in the process of renaming the building to University Lofts, even though the dorms were not originally named as any sort of honor for the Confederate era. Located in downtown Honolulu, this newly renovated waterfront dorm space offers beach living at its finest, with single, double, and triple rooms situated in the Aloha Tower Marketplace. 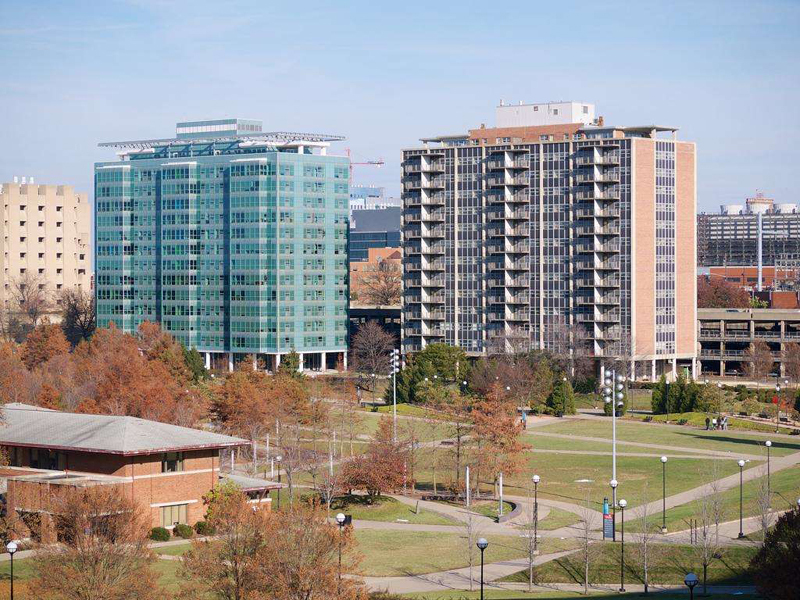 Students here do share bath and shower facilities, but there are also large common areas and kitchens, as well as proximity to retail shops, restaurants, and public transportation. 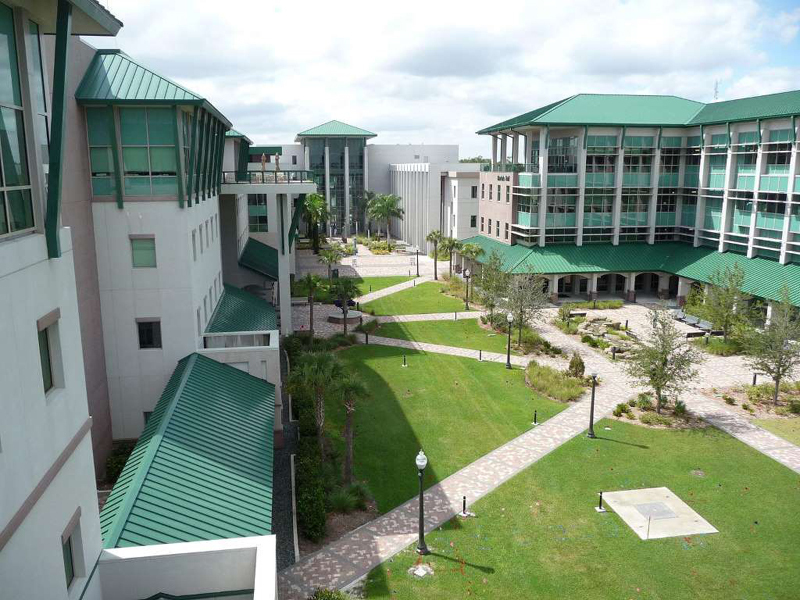 Osprey Fountains housing complex opened in 2009, with space for 1,000 students. Residents may choose from shared suites or private rooms, and each room has cable and high-speed internet access. The biggest perks, however, are in the shared spaces, such as the Upper Deck with its plasma televisions, or the Galaxy, where hard-core gamers can gather to play. There are also outdoor amenities, including a lap pool, lazy river, and a putting green, as well as lighted tennis, volleyball, and basketball courts. Built in 2011, these halls are Pomona College's newest housing additions and have just over 30 suites with more than 150 single bedrooms. Each suite has a common living room, with three to six bedrooms attached. The suites all have air-conditioning and low-use water fixtures, and both buildings are certified LEED (Leadership in Energy and Environmental Design) Platinum, with a focus on sustainability. Residents can take in a movie via the dropdown movie screen in the lounge, or relax on the sun-drenched rooftop garden. With beautiful vaulted ceilings, exquisite woodwork, and arched windows, Jungels-Winkler Hall gives students a homey feeling—if home was a mansion, that is. Providing single, double, and triple rooms, two kitchens, a spacious recreation room, air-conditioning, and a formal living room with a piano, those who attend school here definitely won't have to go without any of their creature comforts. 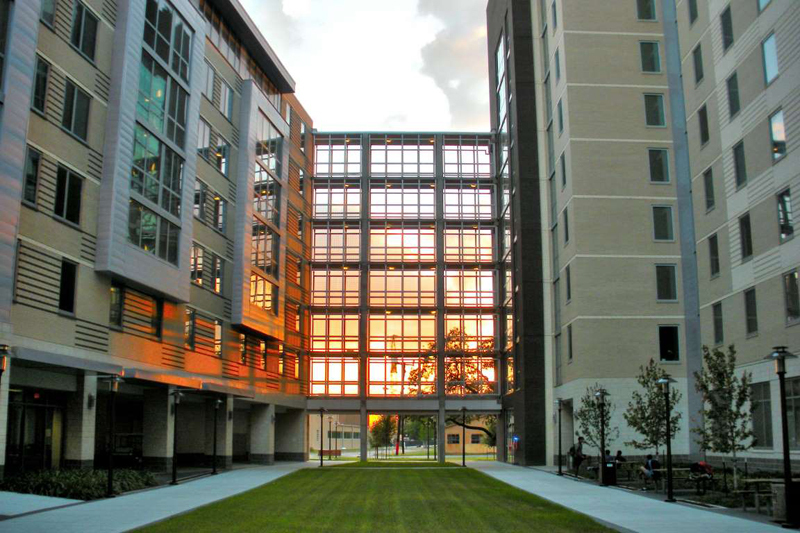 Foodie students will rejoice when choosing Newman Towers at Loyola University. While it might seem like an average dorm at first glance, one of its biggest perks is Iggy's Market, located on the building's ground floor. This swanky shop is labeled as a convenience store, but is much more. With meals such as crab cakes, steak, chicken parmesan, or good old mac and cheese, Iggy's caters to all students' tastes and dietary needs. The dorms consist of two towers, with accommodations for between two and eight students per suite. Each room is fully furnished and has shared common areas with a full kitchen, dining space, and a bathroom, and all are carpeted and have air conditioning. Students who live at Callaway House at University of Texas, Austin, don't have to worry about mundane things like dusting or making the bed. This plush dorm offers daily housekeeping services. With options that include single or double rooms, each suite has a kitchenette with stainless steel appliances and granite countertops, as well as hardwood floors and privacy walls in shared rooms. Common areas include a theater room with four 60-inch televisions, a 24-hour fitness center, and a large outdoor pool with a spa. While Scranton, Penn., might not immediately bring to mind the word “luxury,” students at the university there enjoy some pretty fancy digs. From weekly housekeeping services to lounges with pool tables and pianos, as well as cable television hookups and wireless access in every room, Scranton makes sure its students enjoy college life to the fullest. 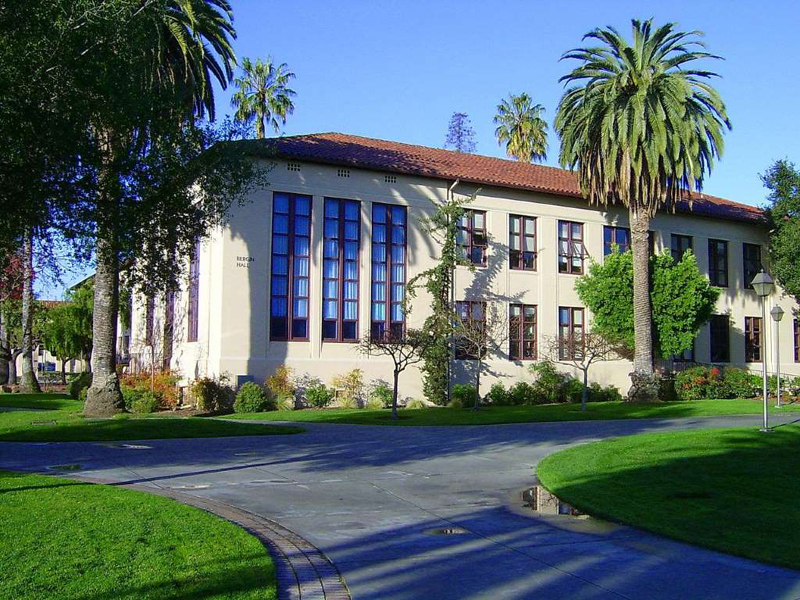 Students attending Santa Clara University don't just have the chance to enjoy the California lifestyle, they also get dorm amenities that include air conditioning, private bathrooms, and spacious lounge areas and kitchens. While there are several residence halls to choose from, all feature lovely architectural touches and communal outdoor space. Located in the heart of downtown Portland, Portland State University's dorm rooms provide optimum urban living and convenience. Each studio-style room has a kitchenette with a mini fridge, as well as a private shower. There are several residence buildings to choose from, and all have roomy common areas, with tons of shops and restaurants just steps away. 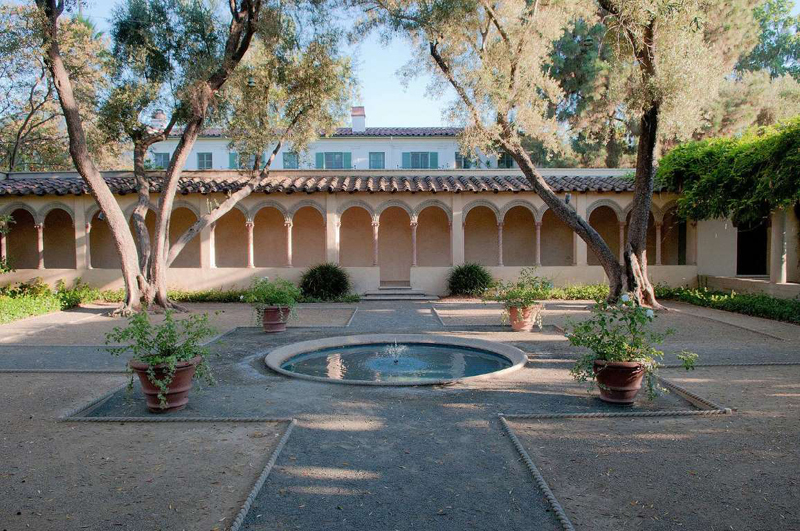 One of Stanford's most historic dorms, Lagunita Court was built in the 1930s and used landscape architect Frederick Law Olmsted's concept of creating individual cottages within a larger residence hall. Consisting of seven halls, residents here can explore beautiful outdoor spaces that include grassy courtyards, and a trail that goes around Lake Lagunita. Each house has a lounge, kitchenette, and computer areas. 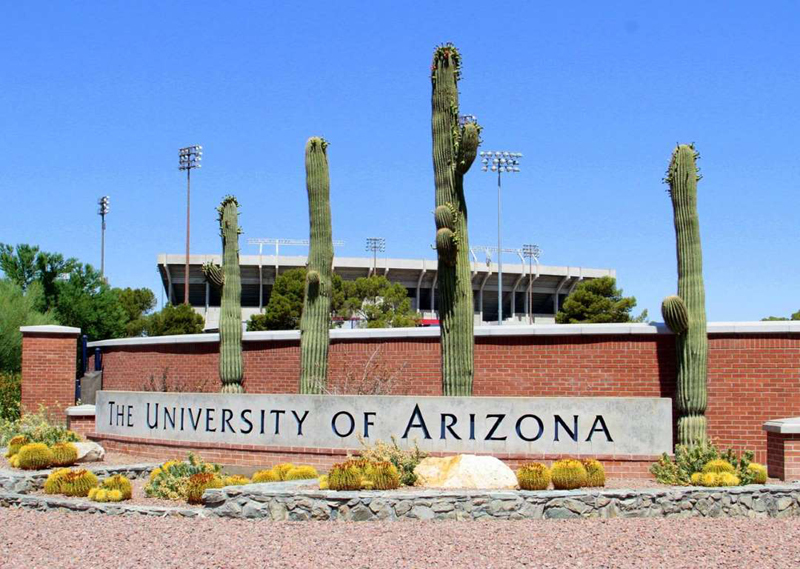 While it isn't located directly on campus, the Hub at Tucson deserves a shout-out as one of the premier choices for student housing at the University of Arizona. Self-titled as “resort-style living,” the Hub offers students living spaces that include a rooftop pool and outdoor terrace, fully furnished private rooms with a sleek and modern feel, and a huge fitness complex. Just a few short blocks from campus, this student housing takes college living to a whole new level. 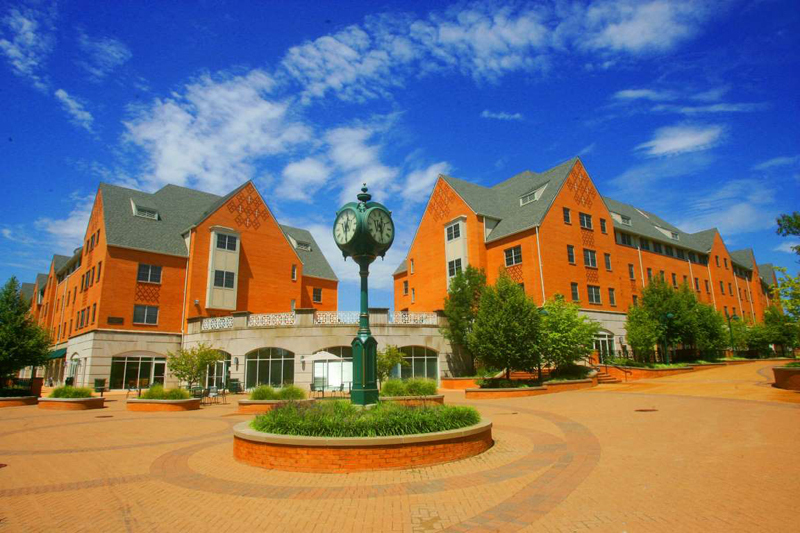 For a room with a view, Morgens Hall at University of Cincinnati has most other college dorms beat. Floor-to-ceiling windows create an open-air feel, and each unit has individual heating and cooling systems. The hall was renovated in 2013, with eco-friendly touches, such as a façade that filters sunlight while maintaining privacy by reflecting solar glare. 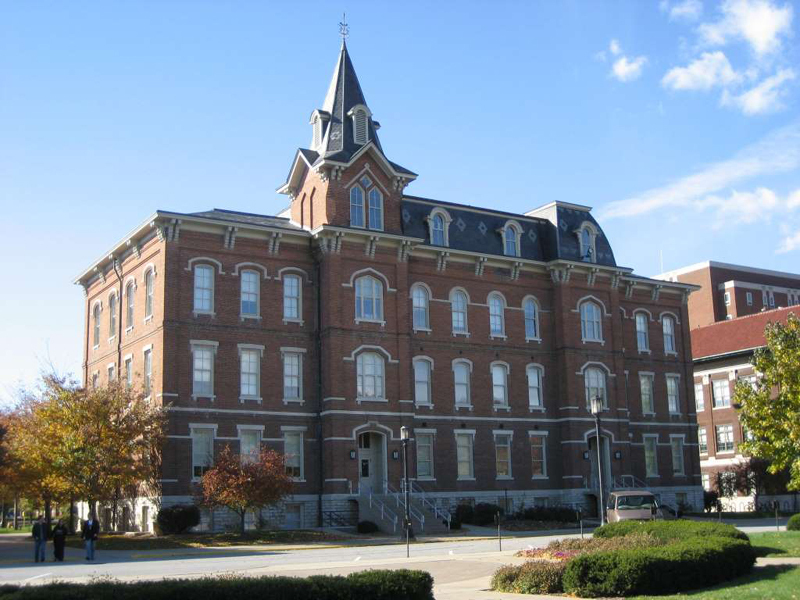 The redesign of the building earned the university the American Institute of Architects of Ohio award in 2016. 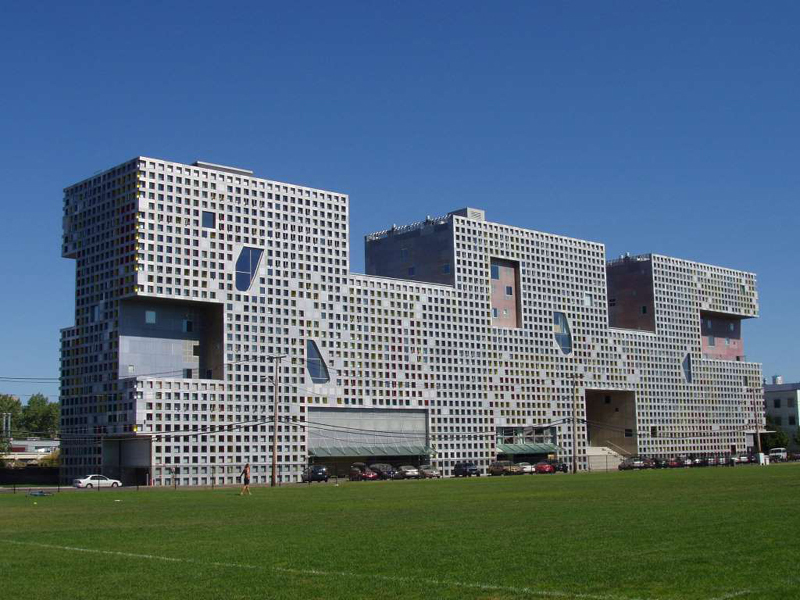 While the Massachusetts Institute of Technology (MIT) is known for being home to big brains, it also sports one of the most well-known and renowned residence halls. Simmons Hall was designed by architect Steven Holl, and the exterior has more than 5,000 tiny square windows, earning it the nickname “the Sponge.” While the rooms themselves are fairly standard, the lounge areas are equipped with video game consoles, couches, comfy beanbags, and floor-to-ceiling windows. The facility also has a gym, crafts room, and woodshop. 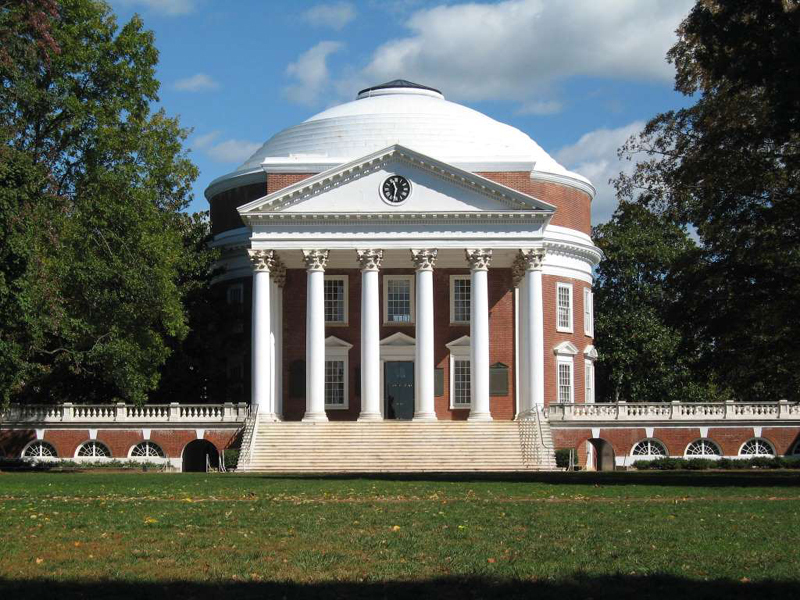 Designed by Thomas Jefferson, the Lawn is the central part of what is known as the Academical Village, which is considered one of the most prestigious residences on campus. Each of the 54 Lawn rooms comes with a rocking chair for those warm Southern evenings, and most rooms have fireplaces. 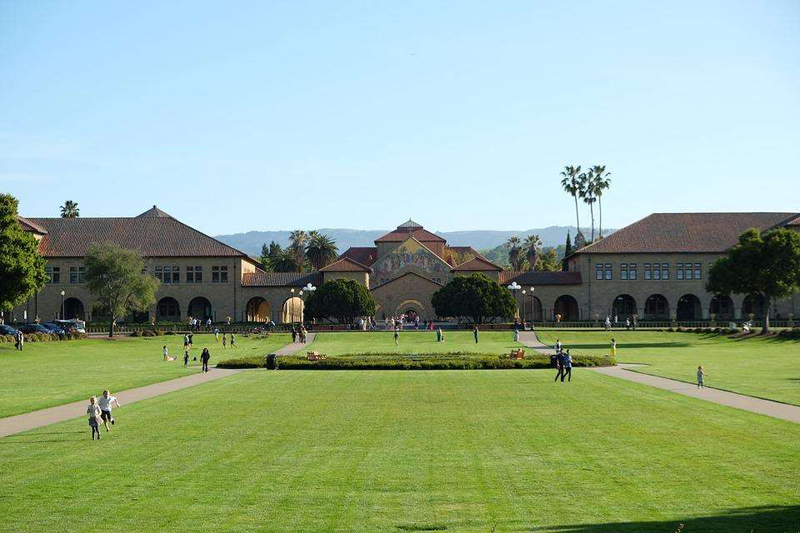 The Lawn was designated as a UNESCO World Heritage Site in 1987, and was named a U.S. National Historic Landmark District in 1966. 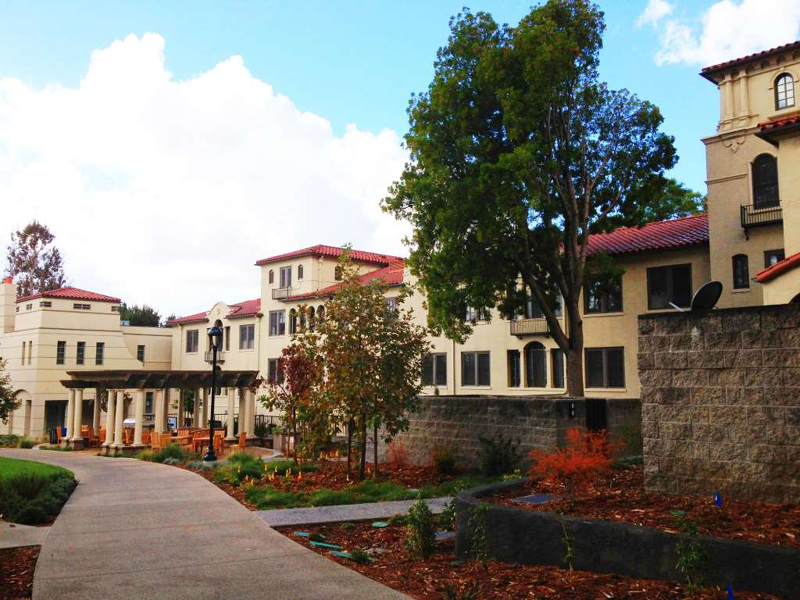 Housing roughly 1,000 students, UC Davis' Cuarto dorms consist of three halls that surround private courtyards. Two of the courtyards have outdoor swimming pools with spas, and all have plenty of trees and green space. Rooms are set up as suites, with two to four bedrooms that connect to a shared living room and bathroom. Privacy is key at Purdue University's First Street Towers. These deluxe dorms are really more like apartments, with no shared rooms and definitely no shared bathrooms. Weekly housekeeping services are standard, and there are two communal lounges on every floor, with big-screen televisions, pool tables, and well-appointed kitchenettes. Laurel Village is the newest addition to Colorado State's student-living options, providing modern and updated rooms with spacious common areas. 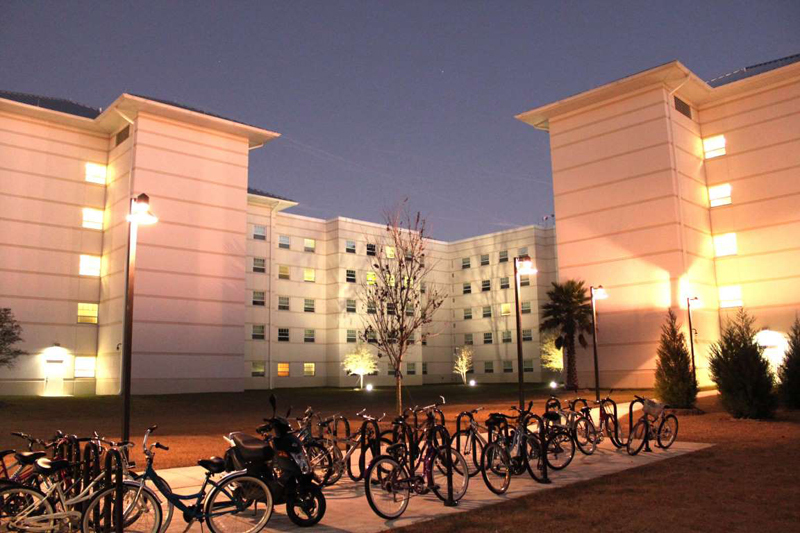 Consisting of three buildings, the two residence halls offer a combination of suite-style and community-style single and double rooms, with a mix of shared and private baths. The adjoining Pavilion community center includes a bike shop, and art and gallery space, and is LEED Platinum Certified for sustainability. 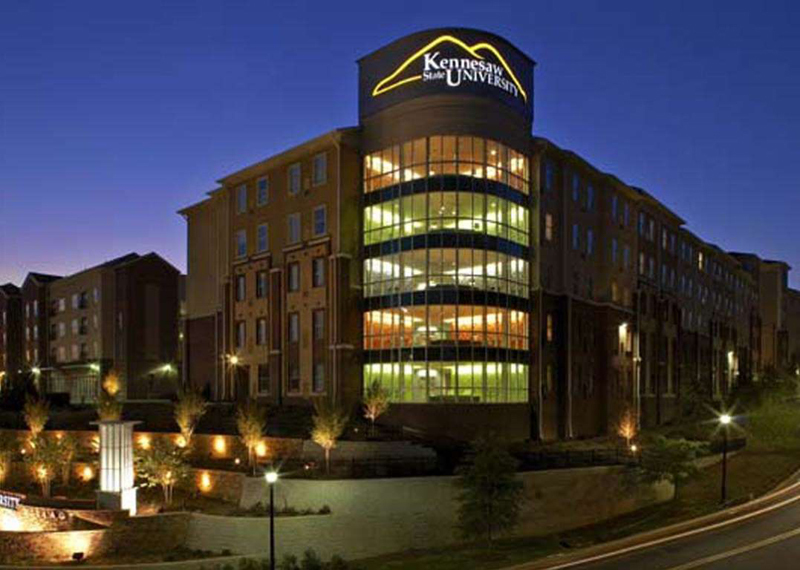 Opened in 2008, University Village Suites at KSU has private bedrooms and a suite-style layout. Each bedroom has its own keyed entry and includes cable and internet access, with a shared kitchen and bath. Community areas include activity rooms with gaming stations, a fitness center, café, health clinic, and an art gallery. Florida Gulf Coast University is a mecca for outdoor activities, with half of its 800 acres dedicated to preservation and nature. The housing facility at North Lake Village makes for easy access to any kind of outside fun. Situated on an 80-acre lake, amenities include a fire pit, hammocks, sand volleyball courts, tennis courts, and access to motorized water sports. Rooms are set up as quads, with private bedrooms and shared living, kitchen, and bathroom spaces. 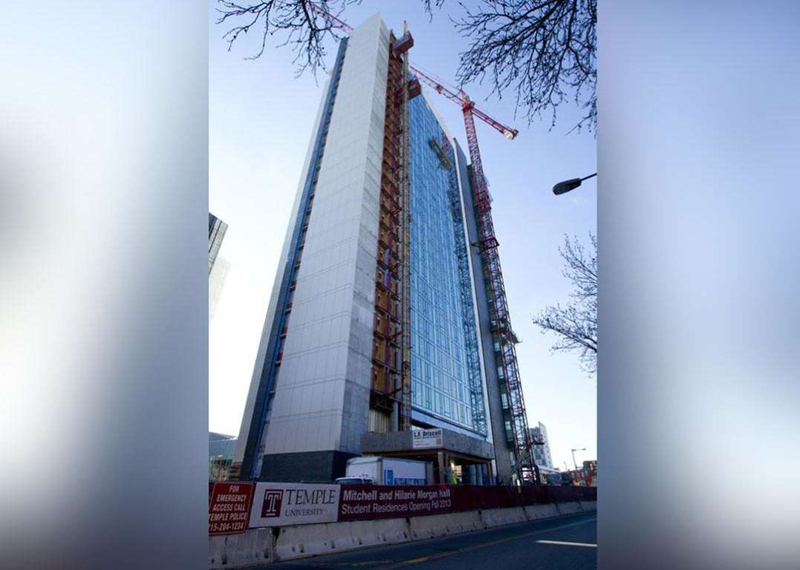 Built on what used to be a parking lot, Morgan Hall at Temple University was designed by MGA Partners, the firm that once belonged to famed architect Romaldo Giurgola. With a focus on keeping the university's footprint to a minimum, the firm created a space where students have a central walkway and a private, green courtyard, all while remaining self-contained. The dorm's common areas boast double-height, glass-enclosed lounges, natural lighting throughout, and proximity to shopping and recreation facilities. Rooms can accommodate singles and doubles, with both shared and private baths. 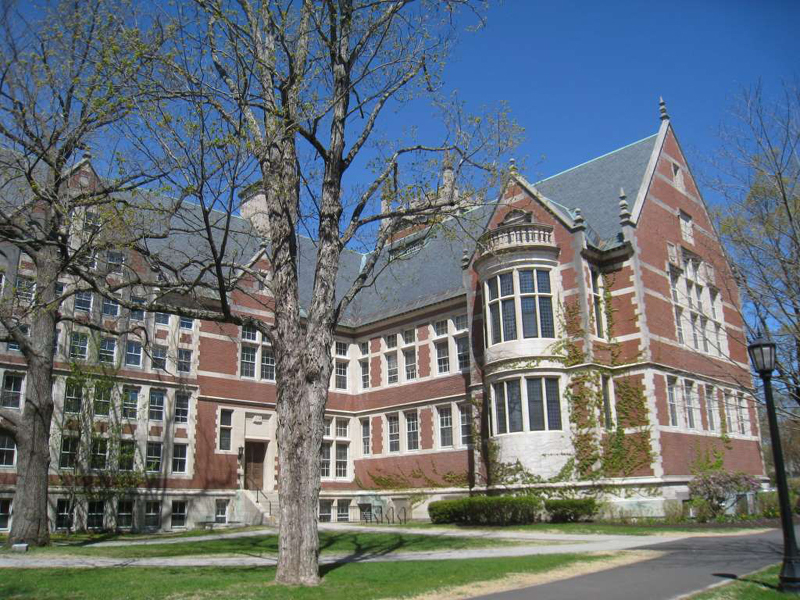 With its long history of high-ranking academia, Bowdoin College often has been touted as a “New Ivy” school. The school phased out fraternities in 1997, turning frat houses into dorms and creating much-sought-after space for students. The former frat houses are now referred to as “college houses,” and provide a communal housing environment in beautiful homes. Each of the eight houses has its own style, with everything from fireplaces and chandeliers in some, to wraparound porches and spacious outdoor areas at others. 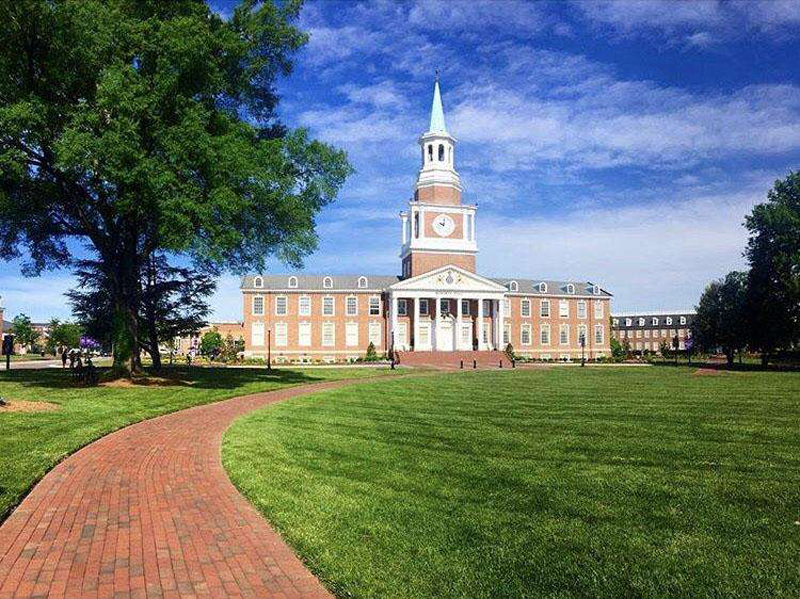 High Point University maintains high-class style, regularly making the list for having some of the best dorm rooms in the country and priding itself on making sure students are comfortable and happy. The R.G. Wanek Center has a total of 300 rooms, which are a mix of singles and doubles. Each room has full-size beds, mirrored armoires, and maple cabinetry. Recreational activities include a cinema, an upscale restaurant, and a gaming space. 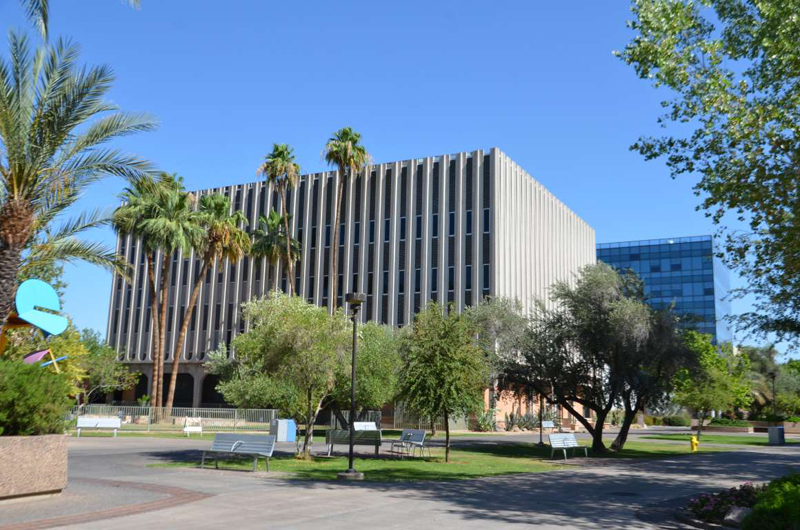 The designated hall for the College of Liberal Arts and Sciences at ASU, Manzanita Hall is a co-ed dorm, conveniently located near downtown Tempe. Rooms include internet access, a micro-fridge, and a shared bath. On site is Manzy Square, an all-you-can-eat dining spot, and a Starbucks is nearby. The common areas feature comfy couches and plenty of space, as well as a fitness center. 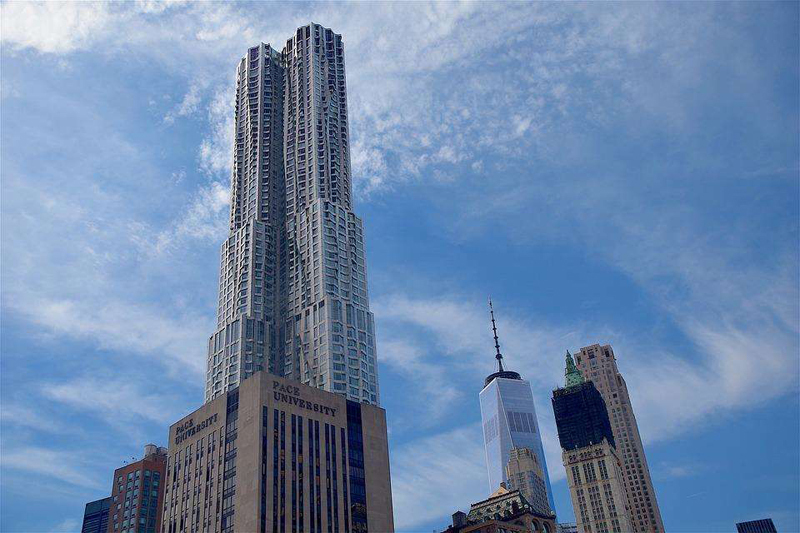 With sweeping views of New York City from every window, Beekman Hall is the tallest college housing building in the world. At 340 feet tall, this 34-story dormitory houses more than 700 students in single, triple, and quadruple rooms. Each unit has a private bathroom, shared only with other quad or triple residents, and the “amenities floor” has a 24-hour fitness center and lounge area. 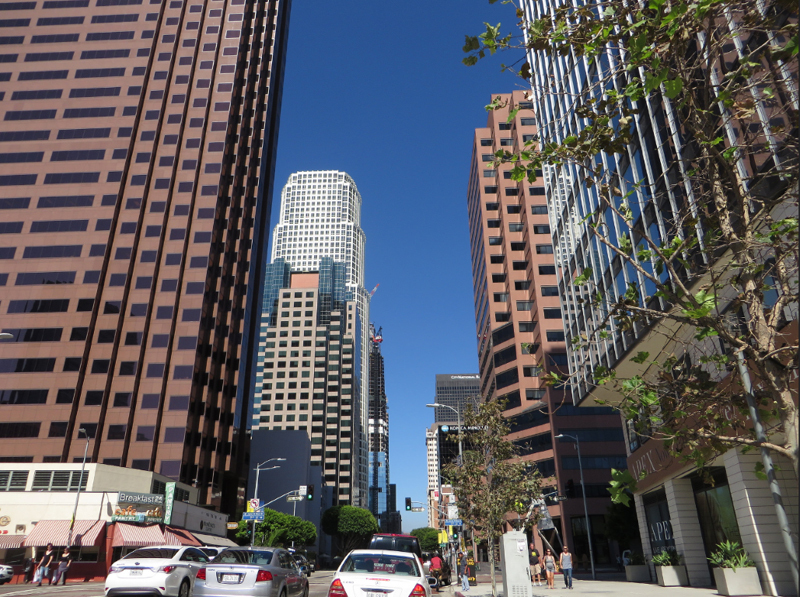 While not technically a dorm, the privately owned Metropolitan, commonly known as “The Met,” provides housing for students at FIDM with all the glamor of a five-star hotel. Individual apartment-style rooms have kitchens, living areas, and private balconies, while the shared areas include a heated pool and spa, fitness center, theater, and outdoor garden.